An obituary to Marcel Thilmany. Marcel Thilmany passed away the 26th April 2009 in the hospital Saint-Louis at Ettelbruck, Luxembourg. He was only 43 years old. Marcel started at the Lycée classique de Diekirch (LCD) in 2001, as a technician of the computing department I was in charge of. Marcel had some interesting professional experiences: he has been a seller of computing equipment in a large retail outlet (EXELL), a vendor of portable phones at one of Luxembourg biggest store (Cactus), a mostly self taught computing expert who even was fluent in COBOL. Since child's age he had kidney problems, and when he started at the LCD he was just given his third kidney transplant. After a couple of years, this was not going too well, and he suffered from permanent complications due to creeping kidney failure. Finally he had to be operated again, and without any kidney left, was forced to spend every second day at a 4 to 5 hours lasting dialysis session. Considering his age and several other health problems, his chances to get another kidney transplant were slim. In January 2009 he suffered a cerebral stroke and went into coma, from which he only awoke once for a short time. After more than 3 months in intensive care with ongoing dialysis, he passed away on Sunday 26th April 2009. Marcel was an outstanding colleague and friend, always good humored despite his many reasons to be grouchy and depressed. He had a formidable will to survive, and never refrained from arduous work. His help was immense in the daily hassles of keeping afloat a very big computing department with 3 locations, many different Lan's and more than 500 computers to manage. He was an ardent and joyful telephonist, very good at making repeating calls if ordered wares were behind schedule. 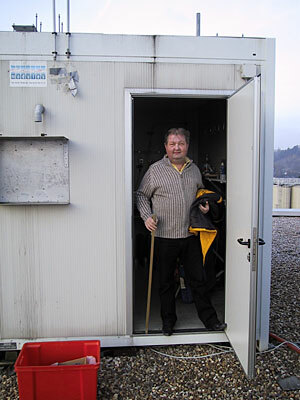 Marcel also was a big help at the meteorological station of the LCD (http://meteo.lcd.lu) of which I am the manager. 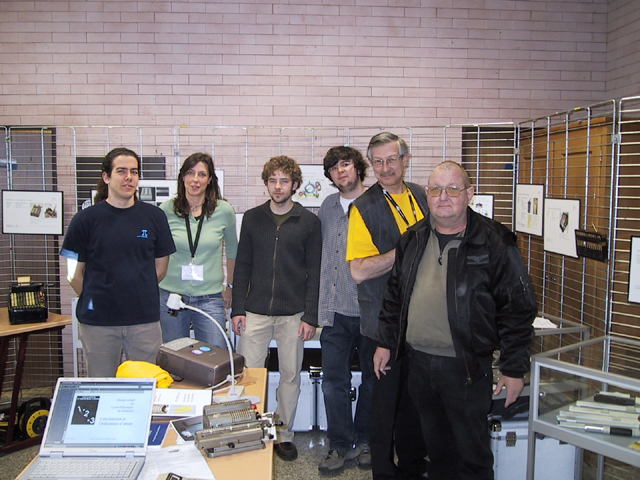 He helped out at many occasions, being it the constant moving and rebuilding during the first years of the 21th century, repairing stuck computers and ancillary hardware or installing new equipment. At the LCD we are gathering a big collection of historic calculators and computing equipment (see http://computarium.lcd.lu). Here Marcel's help was invaluable, especially during the many exhibitions we did during the last years. In 2005 we held a large exhibition in one of the big Luxembourg malls; Marcel stood with me during seven days from morning to evening, giving explanations, helping out when something stuck, joining the crew during the stressful installation hours and the dismounting, that had to be done in a very tight time-span. Every so and then when I had to build some equipment (as for instance the display for our Blow my Bulb experience (http://bmb.lcd.lu) Marcel was helping and as an experienced craftsman, guiding me during the work. We all will miss Marcel deeply. We lost a cheerful colleague, a good friend and a living example of courage and staying power. Our only consolation is that he will be better off in another world, waiting for us to see him again.. Here a couple of pictures of Marcel from the years 2001 to 2009. The last picture of Marcel, a very short time before his cerebral stroke. 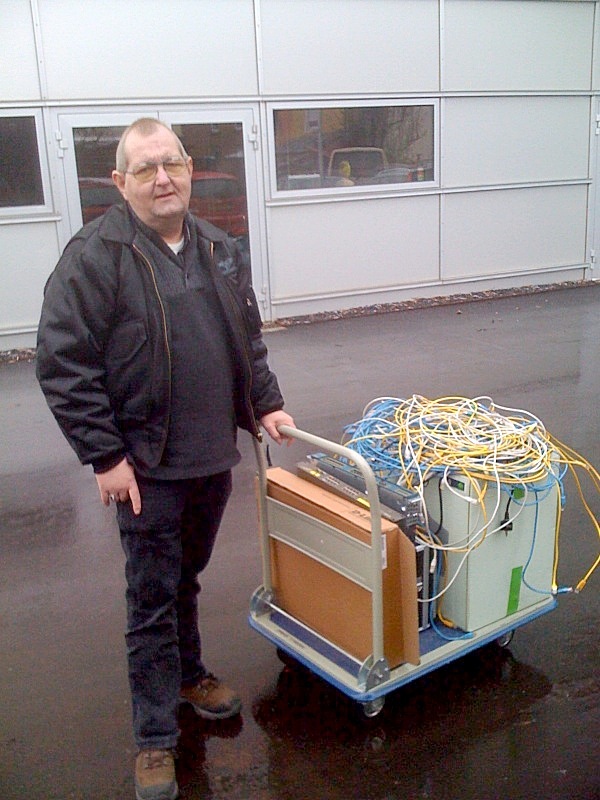 We were coming home from a major and exhausting work on the LAN of our Mersch building. Assembling the stuff for transportation to the historic calculators/computers exhibition at a big mall, the Concorde. 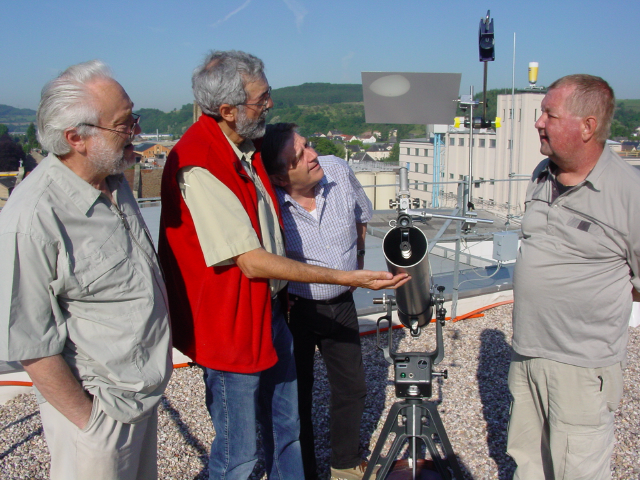 Observing the transit of Venus from the roof of meteoLCD (2004, photo J.P. Klein). Removing the last bolt from the old faithful container of meteoLCD before transfering the equipment to the new, definitive facilities. Close the door and good-bye! 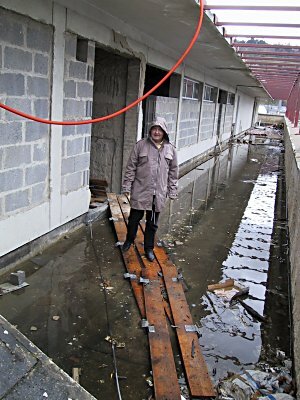 This was the not so comfortable access to our meteoLCD container during one of the many transformation phases of the building.